I am so thrilled to be announcing our very first NO UGLY DUCKLING giveaway! Because of the incredible interest and response I received from all of you after I wrote my post on “How to Sew a Button,” author Erin Bried, who is also a Senior Staff Writer at SELF magazine, has generously given us a SIGNED (!) 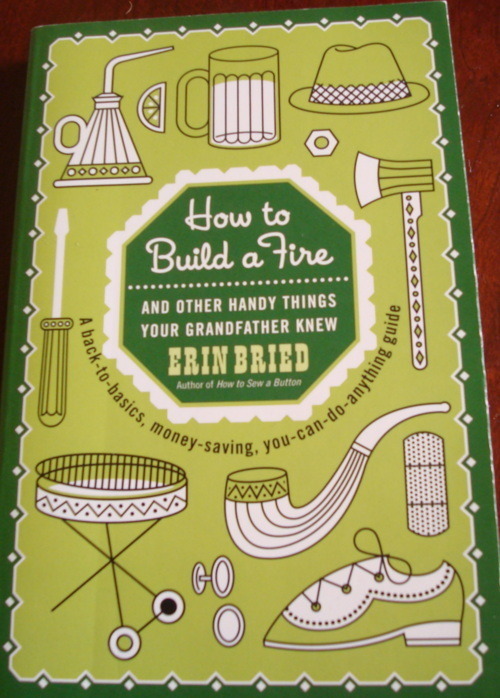 copy of her latest book, “How to Build a Fire: And Other Handy Things Your Grandfather Knew.” It’s a great companion piece to “How to Sew a Button” and quite the resourceful guide full of how-to tips and sage advice from grandfathers. My favorites include: how to strip wooden furniture, how to bounce back after failure, how to navigate office politics, how to find self-confidence, and how to write a love letter. Now… how to win this wonderful prize? Just like our Facebook page or become our Twitter fan by this Friday, February 4th at 5pm PST and a lucky winner will be randomly chosen! Good luck everyone!